Despite being exiled in Russia, former National Security Agency contractor Edward Snowden is reportedly working with a famous hardware hacker on an iPhone case designed to eliminate the risk of snooping by outside parties. A mockup of the proposed case. The case —being created with the help of Andrew "Bunnie" Huang —was revealed today during an event at the MIT Media Lab, Wired said on Thursday. 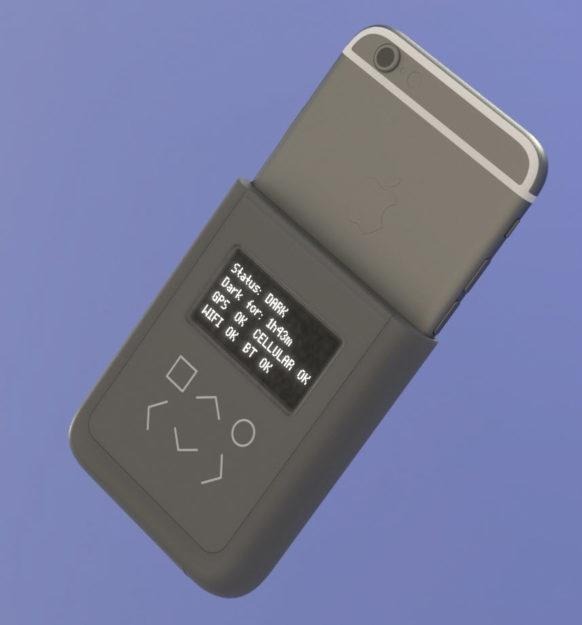 Though still in a concept phase, the case would snake wires into an iPhone's SIM slot, attaching to test points on the circuitboard. To accommodate this, the SIM card itself would have to be relocated into the case. The accessory would then monitor GPS, Wi-Fi, Bluetooth and cellular radios, and trigger an alert if they're active when they're not supposed to be. Sophisticated hackers —such as those at the NSA —can potentially use malware to make it seem like a phone is silent while it's actually broadcasting. Even without code designed to specifically snoop on an individual, captured radio data can be used to pinpoint a person's location or monitor their activity. As a more extreme solution, the case might even be set to shut off an iPhone automatically if it detects unwanted transmissions. A working prototype case is expected to debut in the next year, and the long-term goal is to launch a Chinese supply chain of modified iPhones that can be supplied to journalists. The design and any original code will be open-source. Snowden, most famous for exposing the NSA's mass surveillance program in 2013, is working on the project as a director of the Freedom of the Press Foundation. He noted that he hasn't carried a smartphone since his 2013 leak, since he's worried that the U.S. government could use it to find him.